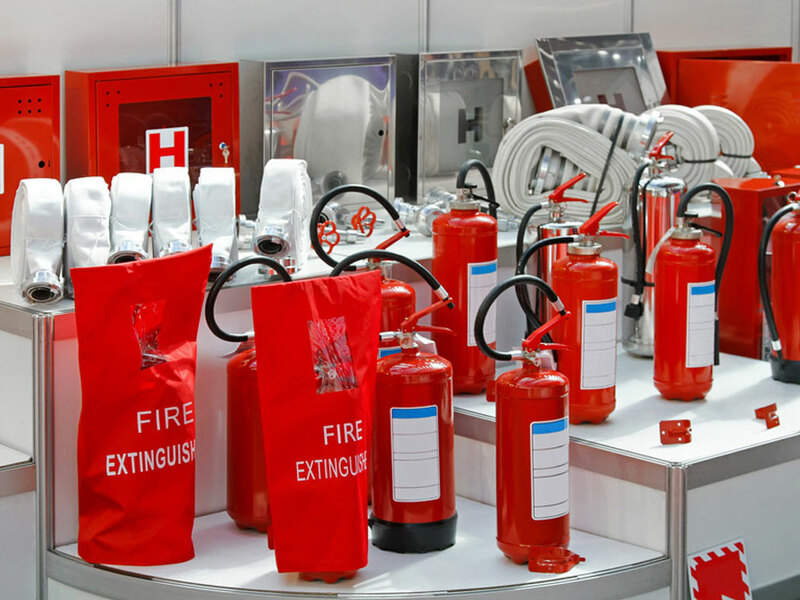 There are few different kinds of fire deterrents that have been invented and Fire extinguisher is one of them. The most important thing about this product is it can be used by the occupants of the building and requires very little training. A fire if controlled at its initial stage causes lot less damage to the life and property. Class A Fire risk: A fire that occurs in wood, paper, textile etc is called class A. The type of extinguisher that can put out this fire are: water extinguisher, dry powder extinguisher, wet chemical (limited use), foam (limited use) extinguisher. Class B Fire risk: A fire that occurs in stored inflammables is called class B fire. If it is a fire that occurred in the container, foam extinguisher is considered to be the best extinguisher to extinguish the fire. If it is a fire that has occurred in the spilt fuel on the ground, there will be options like dry powder extinguisher, foam extinguisher etc. Class E Fire risk: A fire that occurs in electrical appliances is called class E fire. The extinguishers that are effective to put out electrical fire is Co2 (sizes vary depending upon the nature of risk), dry powder etc. Class F Fire risk: A fire that occurs due to heating of cooking oil is called class F fire extinguisher. 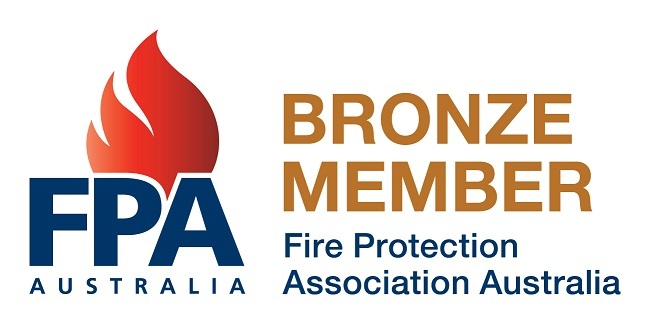 As per BCA and the relevant Australian Standard, the extinguisher that has been approved to extinguish class F fire is called wet chemical fire extinguisher. Our installation is compliant to AS 2444. The extinguishers we supply are also compliant to Australian Standards. The units itself must also comply with their own specific requirement. During installation, consideration should be made to ensure that the types, sizes, classification and distribution of extinguishers is made correctly so that the compliance for the particular occupancy is achieved. Please refer to table below to get the complete understanding of difference classes of fire and fire extinguishers. For a fire to occur, it will require the following three components, it is also called a fire triangle. FUEL : example wood, paper, textile, inflammable etc. HEAT: constant source of heat to keep the fire going. OXYGEN: constant source of oxygen to help fire keep going. Water fire extinguisher helps in two ways. One, it cools the burning materials, i.e. the fuel. It also helps to reduce heat and tries to keep the heat below ignition level. Foam extinguishers are mostly suitable for Class A, (combustible materials) and class B, (flammable liquid) fires. It is more effective with the stored inflammables liquid. When this is poured on top of the burning fuel, it forms a layer that disconnect the fuel from air (oxygen) and it will stop burning. Dry powder fire extinguishers especially used on highly inflammable fires such as electrical equipment.They are also rated as ABE types of fire extinguisher. The mechanism is when dry powder extinguisher is applied on burning fuel, it works by smothering the fire. It actually cuts out oxygen from fuel. The particles are so fine that it covers fuel from around it and cut out fuel from oxygen around it. Wet Chemical Extinguishers are specifically use for kitchens and restaurants, where cooking oils and fats are used. This extinguisher is typically used when deep fryer when heated catches fire. The mechanism this operates in is similar to foam extinguishers. Due to its characteristics, it forms a layer in the heating oil and hence cuts out oxygen from fuel thus putting out fire. We make sure that each product delivers high performance by testing each and every one of them. We verify that you will have all that you require if there should arise an occurrence of a fire emergency. We offer small 1Kg and 4.5Kg up to 9 kg or larger units with premium quality. Contact us today if you have any question regarding your fire extinguisher services or Call us today at 1800 799 147.